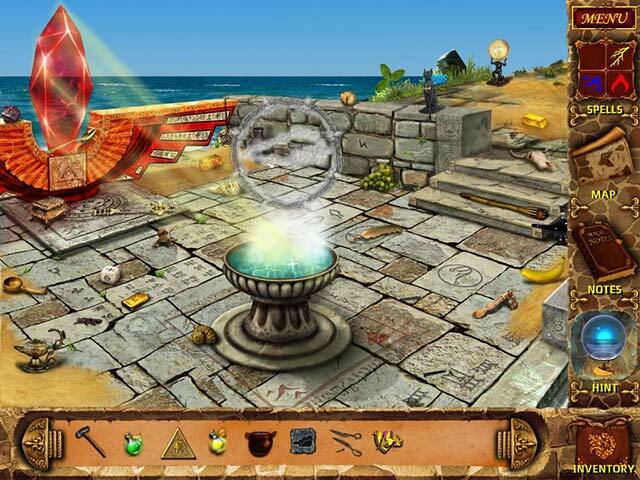 Survive the dangerous Magic Island and become a Grand Magician in Mysteries of Magic Island, a fun Hidden Object game! Find the enchanted items necessary to escape the Magic Island, and return to the Great Magic School successfully. Be warned, however, many have traveled to the island, but very few have returned! 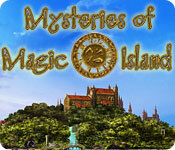 Test your luck in Mysteries of Magic Island! Mysteries of Magic Island is rated 3.8 out of 5 by 22. Rated 5 out of 5 by Innovativemom from Good Variety of HOGs & Puzzles I loved the demo so much that I just bought the game. I love the variety of HOGs and puzzles. The hints seem to be plentiful. Even though some items are a little difficult to find, you can take your time without the game trying to force the answer on you. There's a journal to tell you your tasks and a map to show you the layout. I will warn you that if it is the storyline that you're interested in then my review won't help you. I'm basically into Hogs and puzzles. I mute the sound before I even start the game and I hit skip as soon as it appears during conversations. Rated 5 out of 5 by enigma5619 from really good game not the easiest game i have played some of the puzzles require a bit more brain power then usual especially at the end i just saw there was a strategy guide that might be more helpful h.o.games were ok it is bright, colorful and imaginative! Rated 5 out of 5 by Hookedonbigfish from Magnificent Magical Mysteries In this game you are an apprentice who finds yourself on a magical island and after walking through a magical portal, which closes behind you, it is imperative that several vital runes are found so you can escape. There is not much dialogue to distract you and the use of the map is a great help as more parts are revealed as the game progresses. It shows which parts of the island need more work and more things do do. The graphics are of a high quality and are clear, clean and colourful and very well done. The puzzles and mini games are different and quite ingenious and a few need some extra nutting out, but the magic notes are a big help. Most of the the hidden objects are quite easy to find but a few are a little more troublesome to locate. This game, as it progressed became more and more engrossing, entertaining and addictive and I found it very hard to stop. Well worth the money. Rated 5 out of 5 by BabyWombat from Fun Magic Game With A Twist Not my usual type of game but thoroughly enjoyed this one. Good graphics and the background music is nicely understated. HOS items can be a bit small to find but unlimited hints helped (filled reasonably quickly as well). The puzzles get harder towards the end and some don't have instructions (not a problem for experienced gamers as they are mostly intuitive - journal gives some guidance too). Tips: keep referring to your map and journal - very helpful. Don't forget you have spells and potions to use also. Rated 5 out of 5 by Vinny_Shree from What an Enjoyable Game This is a wonderful easy going game with just enough challenges to keep your interest there. The graphics, story and music were very good. I enjoyed this game so much that I bought it after the trial. I was so into it that I stayed up all night playing it. The walkthrough was useful on several occasions. Rated 5 out of 5 by coha92 from Very Nice!!! Amazing graphics, interesting puzzles, and nice story line. Do you want to get fun, buy this one!! Rated 5 out of 5 by auggie1224 from Colorful and inviting HOG Finally a HOG when a car is not crashing in the dark. The graphics were colorful and very pretty. I liked the map to help me find my way when I needed to use it. I really enjoyed the time I spent playing this game! 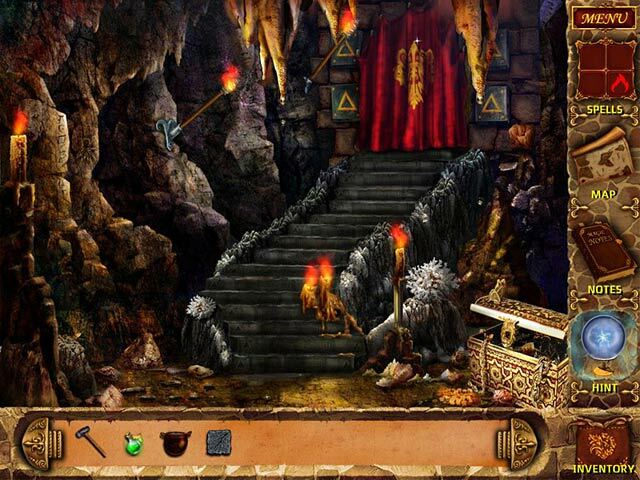 Rated 5 out of 5 by patsyline from Mysteries of magic Island hidden object game When I first started this game, I thought that it was a bit childish, but-- as I continued I got drawn into it, and could not leave this game alone!! many puzzles, & clever twists & turns, use your map to help where to go next, plenty of interaction, very well put together, I fully recommend this game, full of entertainment. Rated 5 out of 5 by Gojira2006 from Magical Awesome graphics & sound, & fabulous game play with clear, untimed hidden object scenes. . . ! A nice hint system charges quickly, & the puzzles are cool, & definitely do-able . . . The lightning effect rocks . . . ! 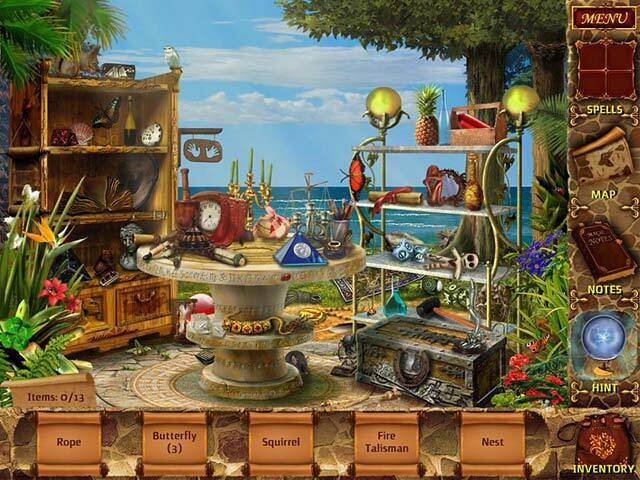 Survive the dangerous Magic Island and become a Grand Magician in Mysteries of Magic Island, a fun Hidden Object game!